Miriam designed another one in the series - a Dog die! You could simply run the die through once and be done, but I went through the extra trouble of cutting out his face and adding darker ears. I also gave him sweet rosy cheeks and a little dark spot around his eye. 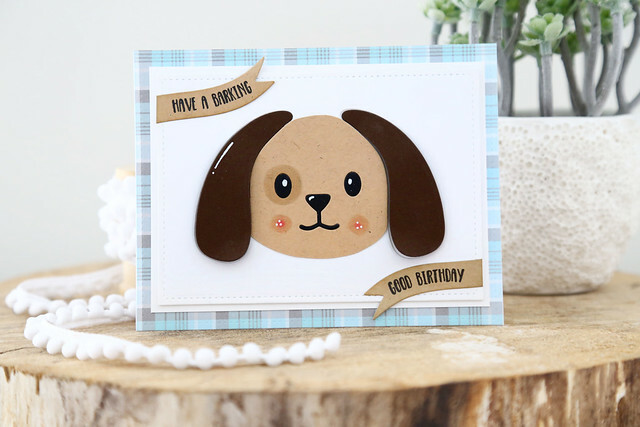 Miriam also designed a stamp set full of fun dog-themed sentiments - Clearly Canine - and I used the birthday one on this card. I matted everything onto a Plaid patterned paper from Lawn Fawn. As usual, Danielle is giving away today's products on the NT blog this morning. But before you leave, write a comment here too - you could win a 25$ gift card to the Neat and Tangled store. Danielle will choose one comment from among design team's blog posts for the week. Such a lovely card you created. 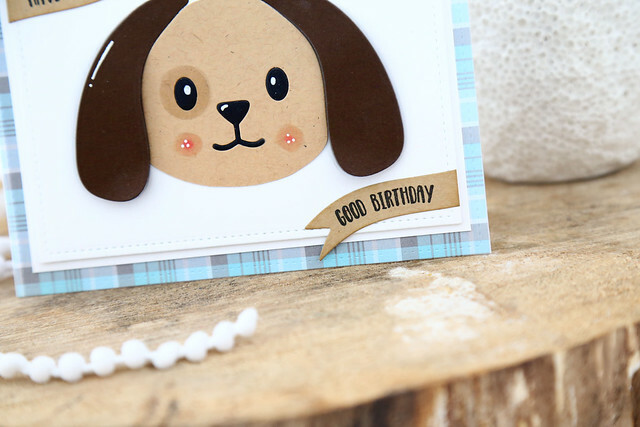 Cute sentiment and I like the plaid background for this adorable pup. I love the sparkle that the white on his eyes add. I love this puppy. I love this! Way to highlight with the white! Really makes it pop! Stunning and fun all in one! Cute as can be! Love this sweet pup! This is so Cute! Love all of the details! Really cute card! Love all the details you added. I love the sentiment too, so clever. Perfect white accents. I always struggle with that! Love the spot around the eye and the added white highlighting. Adorable!!! I love the spot around his eye; so fun! I love how you added those accents to the dog, his eye patch is the cutest! Oh my !! This dog is soooo cute ! !